Forty-nine years ago today my parents said “I do” because they did and that was the beginning of a fantastic journey full of brilliant, simple moments and more love than one house could hold. Forty-nine years ago right now, I believe they were warming up some Pepsi or some such because they’d heard that it was delicious. I tried to wrap my brain around the idea of them, newlyweds, in the kitchen in their little rented home in Valdosta, Georgia standing over the stove with grins they couldn’t wipe off their faces (at least I would imagine so), and I never thought to ask if it was any good. I would think probably not, since they never made it in the years that I can recall. They especially loved little ones. And books. I’ve shared before how in the later years they’d choose a special book or two to share around the holidays. As a comfort and way to connect with them after Mama passed on in 2013, I attempted to continue the tradition. Some years it’s been easy to find a book right off. Others it took longer. This year was the latter. Most definitely the latter. I tested some, read lots, but none felt completely right. And again, I found myself drawn to books about trees. Which makes sense really, since going out to Granny’s farm, traipsing through the woods, and finding our very own Christmas tree all those years are some of my favorite holiday memories. So this year I tried not to pick out a Christmas tree story. That was proving difficult, and I had set this past Wednesday as my personal deadline. Wednesday morning Aub and I sat with a stack of Christmas books and looked through them. Then…..I found it. I vaguely remembered Mama’s excitement at finding this book a few years back. I thought and dug through my memory banks that I expect are getting to be like what my Granddaddy described as Fibber McGee’s closet, and I kept coming up with my sweet cousin for some reason. So while Aub looked up my Mama’s Amazon account record, I texted my cousin. Sure enough, she’d given it to my cousin a few years ago. Appropriate. Perfect for her actually. However, I was sad. I really love this book! So I continued searching. Aub left for work, and I started to read on my own. I found two I liked, but I still couldn’t choose. Then it hit me–maybe I should bring my littles in on this year’s choice. They know about the tradition, and as it turns out, they were tickled to help choose. I think they chose well. So our Princess, Cooter, and I are thrilled to announce this year’s choice for Maemae’s Christmas book. It really is perfect. I have such happy memories of Little Golden Books growing up. Those gold edges and perfectly same-sized books–hard covers and beautiful, colorful illustrations–we had quite a few sitting on our book shelf…..waiting to be taken down and read again and again. Some of those same ones grace my shelves now. But not this one. I was thrilled to find it, as I’d not read it before. 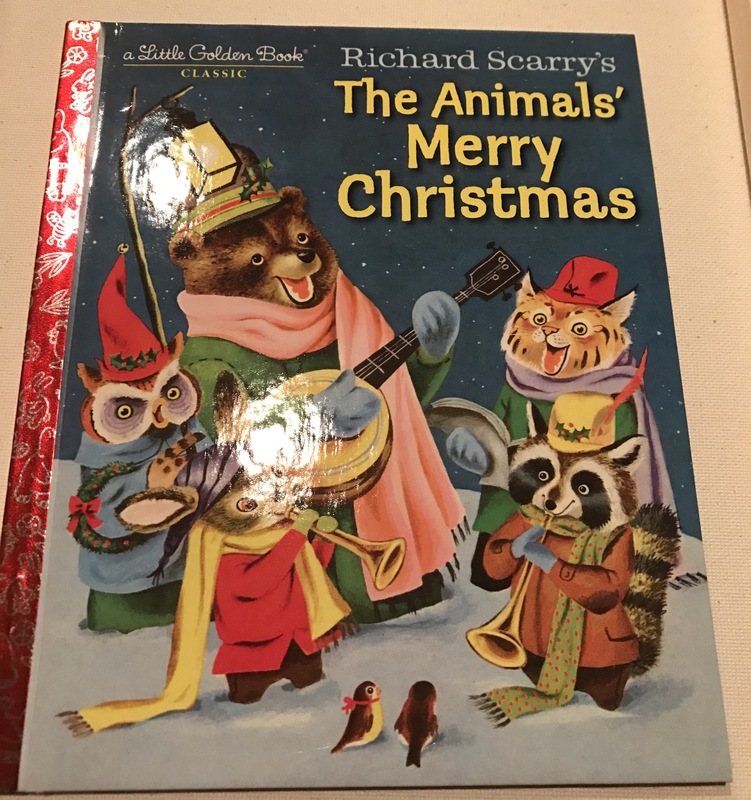 I love the sweet stories and poems, especially the one about the animals and people’s reactions to “no snow.” But what tickled me the most was Cooter’s reaction to the story about the little squirrel. Read it. See if you can figure out at what moment he said, “UH OH” out loud–concerned that things were about to go awry. I don’t want to spoil it, but that was Cooter’s favorite part of the book. I highly recommend both of these books. I also recommend the other book (which our Princess especially loved). It is a sweet story of a strong woman who makes a difference in our world with her caring, strength, and ingenuity. A great story not just for the holidays but everyday, right? What are your favorite holiday and Christmas stories? I would love to hear about them. I hope your holidays are filled with hours and hours of enjoyment and good books to read, but most importantly, I hope these days are filled with the living out of your own great story. One of my favorite memories from this past holiday season happened less than two weeks ago. On the day after New Year’s my brother Bubba taught my oldest, Aub, how to make Maemae’s biscuits. She even stood on a stool beside him, just like she used to with her Maemae. Then he shared the most important part of biscuit making there is. Bubba was known for his cathead biscuits when he was in college. Apparently grad school too, as his sweet wife whom he met there shared that she might have had her head turned by his biscuit making abilities. That boy can flat out make some biscuits. It wasn’t always the case, but remember, any biscuit is better than…..
well, you know. It’s the secret to making biscuits. But let’s keep it amongst ourselves, shall we? Tonight I’m thankful for the passing along of this family legacy–the biscuit making. I’m thankful for a brother who makes time to share the stories and the gifts that he was given, and I’m thankful for our time together over the holidays. It was far too short and more precious than all the gold or winning that big ol’ jackpot folks keep talking about right now. Family, stories, and biscuits. It’s hard to have a bad day when you’ve got all three of those treasures. Bubba’s biscuits as he rolled them out on the pan. I tried to get a photo of the whole pan, but someone was too quick for me to do it. They were that good! Cooter’s biscuit with honey. Mmmmm mmmmm. That’s good eatin’ right there. They laughed, they learned, they worked hard, they listened, they tried, they failed, they succeeded, but most of all they loved. Through it all. They loved. Each other. Us. People they met along life’s journey. One of the things they enjoyed most was hearing stories about the children in the family–and those who were not in the family. They loved the stories, and they loved being with them. Over the years it became one of their greatest joys to pick out books for the little ones they knew and loved. On birthdays and especially at Christmas. It has been one of mine too. 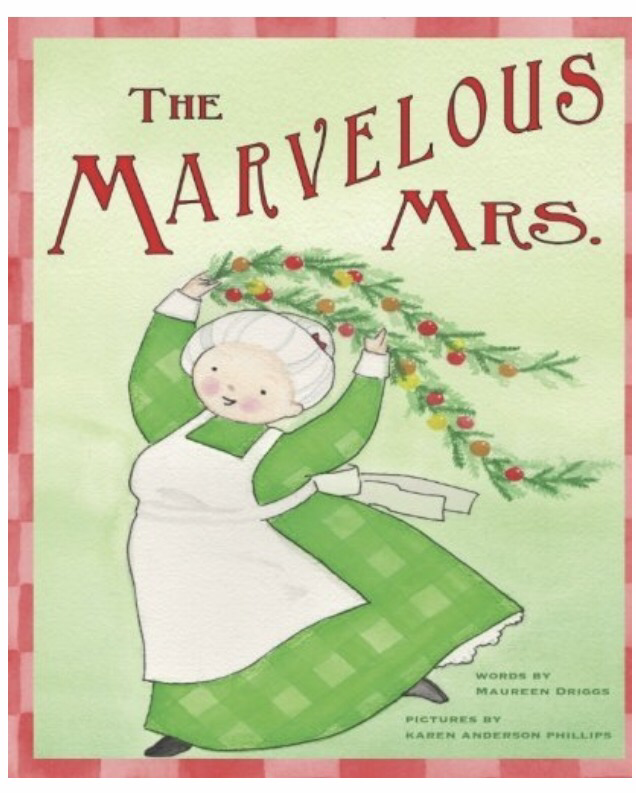 For the past two Christmases I have chosen “Maemae’s holiday book” in honor of their anniversary. This being the third Christmas without my Mama right here with us, I spent a lot of time and energy and thought into making my choice for the book this year. This year’s story I had to think about before committing to it. After all, it is about a mouse. Mama was not a fan of mice. As a matter of fact, she could be downright inhospitable to the little creatures. She never could sit down and watch “Ratatouille.” A mouse that cooks? Food? In a restaurant? “Blech,” she would say and shake her head. 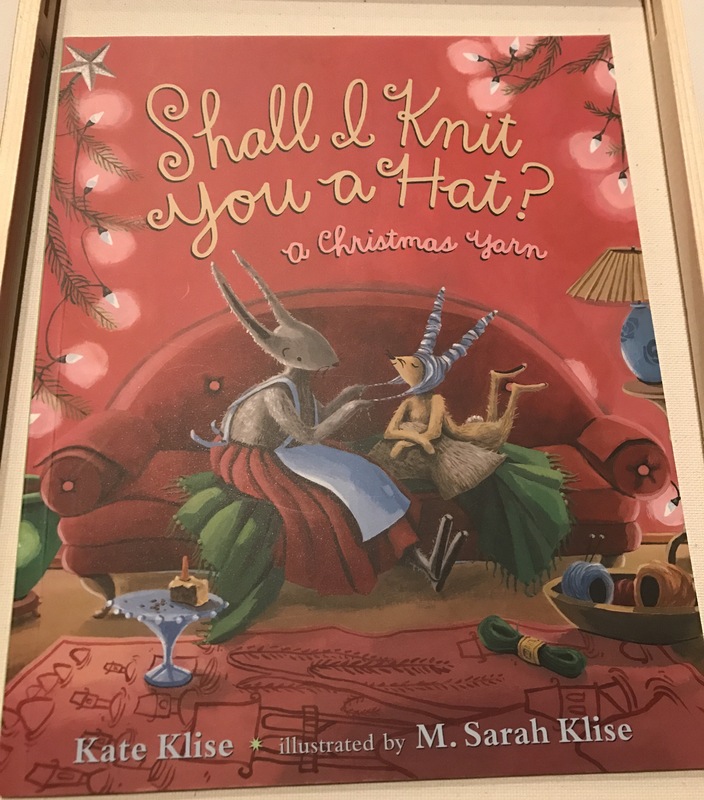 But this little mouse named Mortimer (pretty sure Mama would have loved his name too, I know I do) is adorable, and the whole book is whimsical at the surface and powerful underneath. It’s about making room and finding a place and feeling the love of the Gift given all so many years ago. Without giving the storyline away, we can all learn something about hospitality and welcoming with open arms from this little mouse. Eventually. Like all the rest of us, Mortimer is a work in progress. As I sit here next to our twinkle-lighted tree with “Mortimer” at my side, I give thanks for my parents who loved reading and taught me to do so as well. I give thanks for them and their love of children and books and how they loved matching the perfect book to the perfect child. It was a beautiful thing to behold and to be a part of. Tonight I’m honored to carry on this tradition, and I hope, as the ones loved so dearly by Maemae and Cap/Uncle B and Aunt B find their books in their mailboxes over the next couple of days, that they will remember the smiles and the hugs, and even if they don’t remember that–I hope they will know how precious they are, that they were and are still so loved, and that every person deserves a sweet place where they are always welcome. A place to call home. As I read Mortimer’s story, I kept thinking of this picture our Princess drew several years ago. It is all of us around the supper table. She said that extra seat was in case a special Guest dropped by. Keeping room for others–at our table, in our homes, in our hearts, and in our lives–that’s what it’s all about, isn’t it? PS—I have one copy about Mortimer’s little adventure to share. I’d love to send it to someone with a little one or not quite so little one who would enjoy it. Comment below sharing your favorite holiday book and subscribe to the blog and you’re entered to win. It’s that easy. Winner will be selected randomly Friday 12/18 at midnight EST. One of my friends posted on Facebook today about something that inevitably happens to many of us during the holidays. She was preparing a dessert, and she realized she didn’t have one very important ingredient. It happens. More often than not around here, if you want to know the truth. When I wrote her that I hoped all would work out, she shared that she had already looked up how to adapt the recipe on-line and was going to give it a shot. That’s when I told her my Daddy’s mantra about cooking. She replied that he was wise and must have been very good to have in the kitchen. She was correct on both of those. Not that my Daddy cooked much. I don’t remember that happening much at all actually. He could make a sandwich like nobody’s business and the way he slathered peanut butter on vanilla wafers, saltines, pound cake, whatever–well, he had it down to an art. But cooking? I do seem to remember a pan of burnt toast when Mama was at the hospital having my baby brother. But then–maybe that was the excitement and distraction of the birth of his fourth child and not so much an indication of his skill set. No, my Daddy was great to have in the kitchen because he knew just what to say. This would make Mama laugh. The grace in those words could work magic. Never mind that they were TRUE. I made the Poor Man’s Pecan Pie for today, which is very similar to the Mock Pecan Pie I made in June. It’s the one with no nuts at all. Or pretzels. I saw a lot of Faux Pecan Pie pictures today–the ones made with pretzels instead of pecans, and they really looked delicious. So yes, we’ll be trying that one soon too. We took the pie over to Mess Cat’s for our family Thanksgiving dinner together. When I finally cut into it, it was a bit soupy in the middle still. Of course it was. Because I FOLLOWED THE RECIPE. Last time, I had to substitute for the Karo syrup I didn’t have, and it turned out beautifully. That was when I thought of my Daddy. And how much he would have loved this pie. Because when you put enough butter and sugar in anything…..
Tonight I am thankful for hearing my Daddy’s words in my heart just when I needed them. I am grateful for the example he set in loving the cook and appreciating what was put on the plate. He indeed had a grateful heart, and he let my Mama know it. He and I shared an affinity for the sweet things, and I sure do miss bringing him sweet, buttery things that would make him smile. 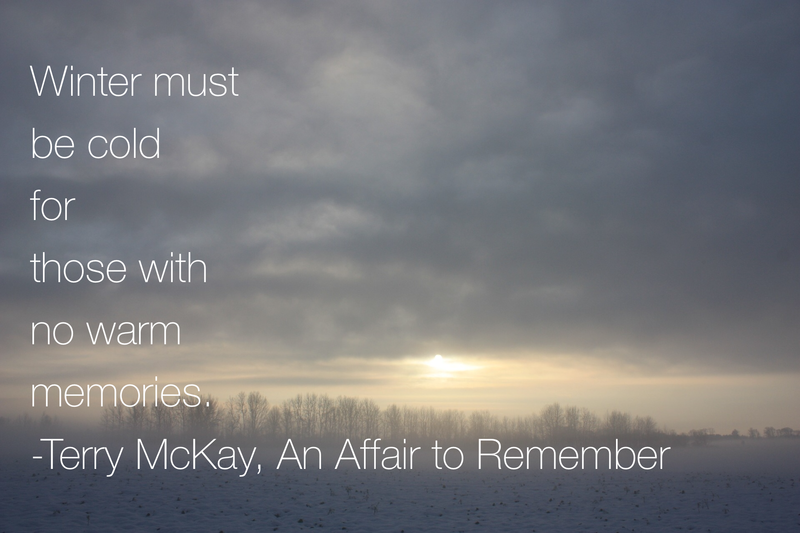 Hoping you all had a day of sharing all the best stories and of merry memory-making with those you hold dear. There’s this thing on Facebook where nearly every morning I am greeted with a “memory” from one of the past four years, with the option to see all of my memories from this day in each year past. This morning the face of my sweet cousin-in-law, who was pregnant in the picture from four years ago, started my day. I smiled to think that just over four years ago we were at one of our family’s Fall Hootenannies and Turkey Egg Hunts. And then I remembered. As if I could really forget what this time of year was about four years ago and again two years ago. It would be impossible enough to forget without Facebook’s prompting, but with it, I’m there. Again. Four years ago, my Daddy wasn’t doing so well. He was worn out from his long battle with the Giant–Lymphoma. It had taken away so much from him, but not his spirit. And yet, he was growing weary. When we talked about the upcoming gathering at his sister’s house about an hour or so north of here, he encouraged me to go. Whether I wanted to admit it to myself or not, I knew things were changing. I don’t think I realized just how short the time we had left together would be, but I knew Daddy was not healing as we had hoped. It was the first Saturday in November, and my sisters had talked about coming down and being with Mama and Daddy for the day. I thought I should be there too, but Daddy said no. He thought I should go to see my aunts and uncles and cousins and let my children play and for us to have a great time as always. Go, he said. I’ll still be here. Little did any of us realize at that gathering that exactly two weeks later, we’d be gathered in my Mama’s yard, not in the comfortable fall wear from before but in stiff shoes, shined bright, and slacks and dresses and combed hair. We’d be loading up in cars to make the drive out to the little cemetery by the old church, where the gravestones read like our family tree. And now there would be one more. I though back on that today–Daddy sending me for a day of normal. A day of extraordinary ordinary time with family. His family. Our people. What a gift he gave me. I think he was sending me to the arms of the ones he knew would carry me through the years to come. He knew, my Daddy did, that time was short. But he also knew that time would become long, and we would need each other to laugh and cry with, to celebrate and grieve with, and to share our stories. Upon reflection, I look at Daddy and the way he lived and what he shared with me, and I realize that the greatest gift we can give our children is the chance to live a good story. Multitudes of them, in fact. They don’t have to be outstanding, but there’s nothing like a good story. My Daddy lived them, he shared them, and he raised us smack dab in the middle of many a good story. The next greatest gift we can leave our children is folks to share those stories with–whether family or friends or folks who are both. And that’s what my Daddy was doing that day. He wanted me and mine to have one more good story to put in our books. He wanted us to be with those who share in so many of our stories, and who would walk with us through the hardest one of all. Tonight I’m thankful for the warm memories that come to me just as the coldest time of year is about to be upon us. I’m thankful for the stories I’ve heard and the stories I’ve lived, and for the storytellers who raised me to appreciate both. Tonight I marvel at the man who looked at me that day and knew exactly what I needed, and despite where he was on his journey, was unselfish and encouraged me to make that happen. From the moment I took my first breath until the moment he took his last, he was the best Daddy that ever was, and in his wisdom, one of the last things he did was remind me to turn to our stories and the people in them for warmth and comfort and love. Giving thanks for the memories…..